‘A can of beans, some black eyed peas, … a Nescafe on Ice, … a candy bar, a falling star or a reading from Dr Seuss ……..’, one man can only have so much fun and I’d turned to my MP3 player earlier in the day as the endless strain of the Amur Highway continued to draw me south. The surface was now mostly sand and rock ….. it had become second nature to drive through the rougher patches using an ‘on/off’ throttle or to overtake into blinding dust and to anticipate the arrival of other vehicles travelling towards me on the wrong side of the road. The Amur Highway is statistically the second or third most dangerous road in the world, … but it is actually a very long way behind the very worst road that runs through the mountains of Bolivia. The surface here is changeable and often demanding, …. but it is never impassable. 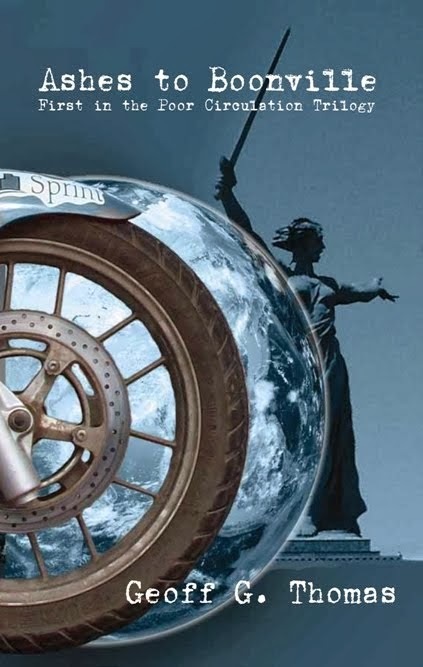 The days of ‘Mondo Enduro’ and the ‘Zilov Gap’ are written into history for all time, …. 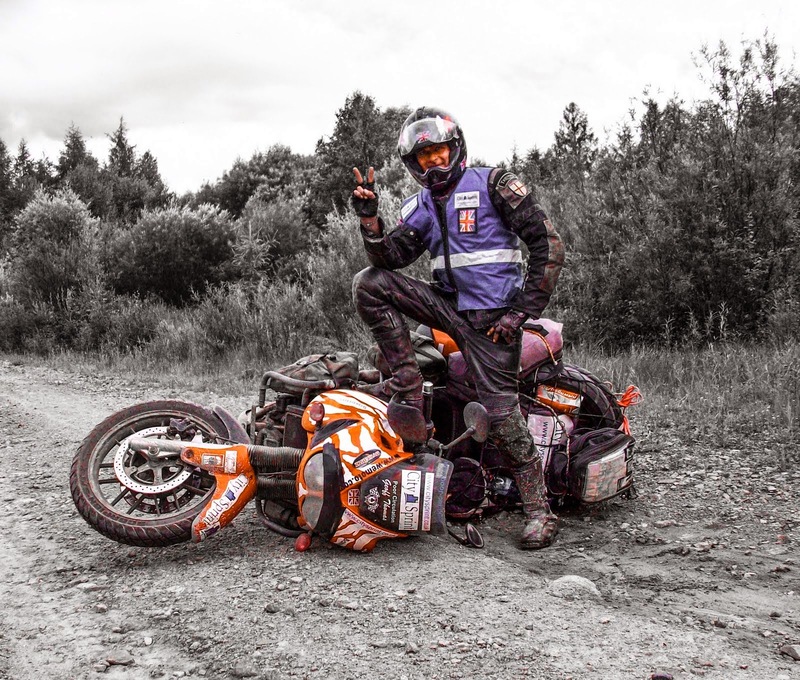 but even in today’s state of ‘incompletion’, any rider with a little experience is more than capable of conquering the Amur Highway. And then it happened, ….. just north of Khabarovsk, the Amur Highway ended. R.E.M. serenaded me from the sand and onto the asphalt as I parked my arse down onto the Tiger’s plush seat and joined Michael Stipe at the top of my voice for the chorus. Any Russian’s hearing or seeing this would have considered me mad, …. but at every rest stop where people surround the bike and ask a million questions, they call me mad for even attempting this journey in the first place. The Triumph Tiger had brought me 2,212Km from Chita in the West to Khabarovsk in the East and has never missed a beat or thrown me from it’s back. I did once fall deep in a forest whilst looking for a campsite but that was my own stupid fault and there was no damage, …. so maybe we can all just overlook that one?. 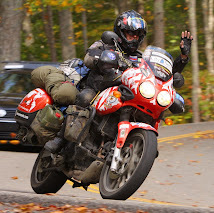 I don’t want to get all ‘Pirsig’ here but, …. I still don’t like this bike. Although the Tiger has done everything that I’ve asked of it and in 12,000 miles has not really broken down or used a single drop of oil, …. it still fails to inspire me. Maybe I’ll change my opinion over the next 12,000 miles, … maybe the Tiger will develop a heart, .. maybe now that we’ve conquered the Amur Highway together, … we’ll go on to attempt the Darien Gap, …... maybe then I’ll grow to like it more.